When Kraken Is a Better Decision? Is CEX.IO Better Than Coinfloor? 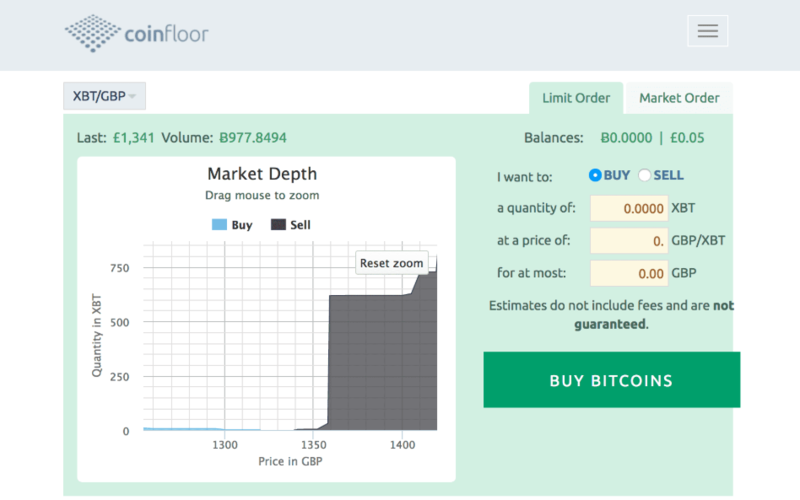 How to Use Coinfloor to Buy Bitcoin? 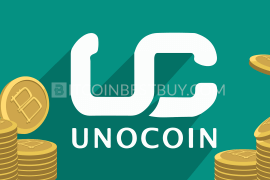 How to Deposit Funds to Coinfloor? Transfer BTC from Coinfloor to Poloniex? Can I Have Withdrawal Problems on Coinfloor? Does Coinfloor Have Mobile App? Does This Exchange Support PayPal? How to Change Password on Coinfloor? Can You Cash Out All Your Funds from Coinfloor? Coinfloor Application Unsuccessful: What to Do? 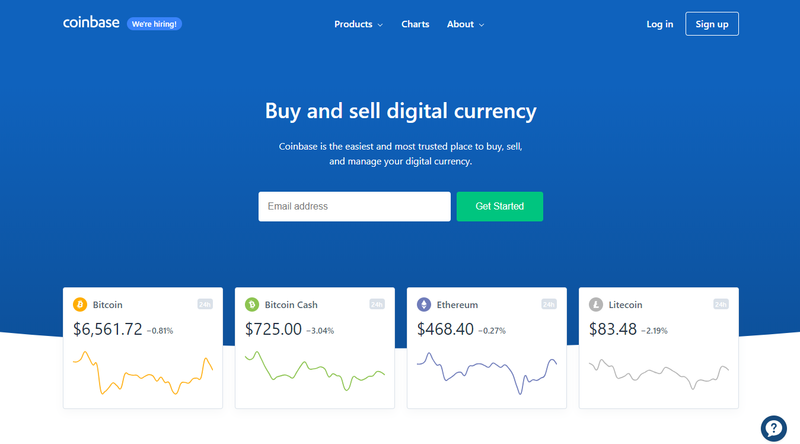 What Should You Know About Coinbase? 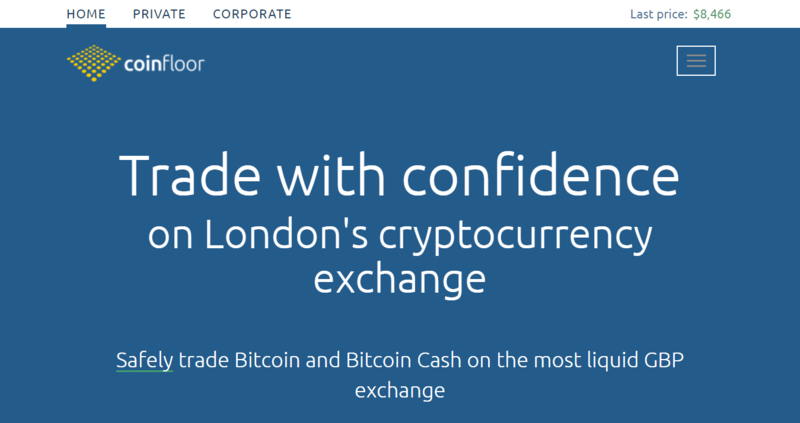 Coinfloor is a British exchange with good tools for professionals who trade in several of the most popular currencies. We will tell you about its capabilities and compare it with some similar trading platforms. Read more in this quick guide. Register a free account at the platform and complete email verification as a start. Click “Deposit” button found under your account tab and provide your bank account details. Check your balance within a week to ensure your funds arrived in full. 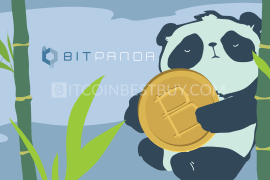 Go to “Exchange” tab, fill out the purchase form and click “Buy Bitcoins”. 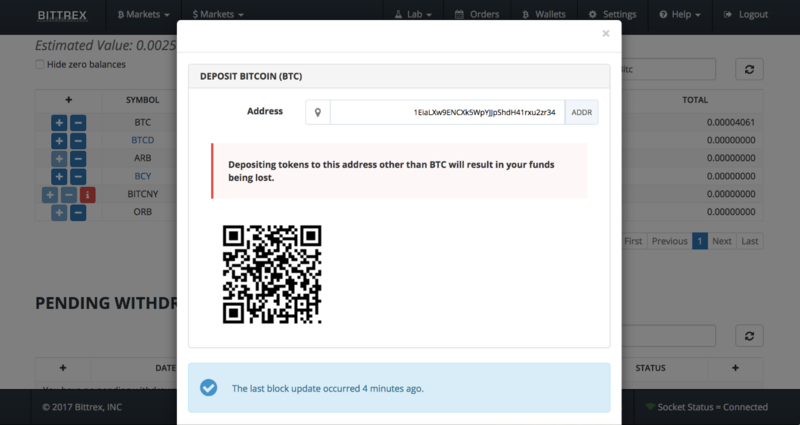 Check your BTC balance and then click “Withdraw” to open up a form where you should copy-paste an address code. Does It Have Customer Service? Crypto market is growing, and nobody seems to be able to stop it. We are seeing new exchanges emerging constantly. Aside from recently founded websites, platforms that are present for a long time, are trying to adjust to the change. Can they meet requirements of the increased number of users? In this review, we will focus on Coinfloor and its services. Our goal is to provide relevant info about the platform and answer all the questions you might have. You will discover how to deposit, trade, and withdraw funds from the exchange. We will also compare it to other platforms, while paying special attention to security features. Coinfloor is a platform that provides a secure way of trading between crypto and fiat currencies. It is based in London, United Kingdom, in 2013. This digital exchange is proud of its safety features and reliability. They were the first to offer a proof of solvency to the public in 2014. Ever since then, they publish that report on a monthly basis to guarantee that their business is liquid and transparent. 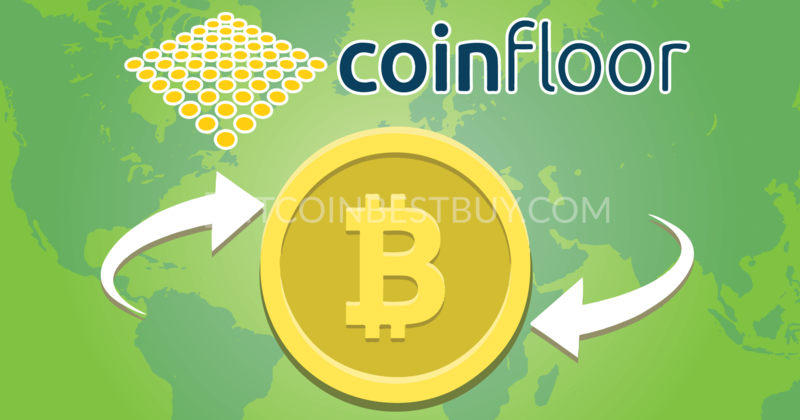 Coinfloor only accepts trading from fiat to cryptocurrency and vice versa. It does not provide an option for trading between two crypto or fiat currencies. It is also limited to only a small portion of coins, including but not limited to bitcoin and Ethereum. Although they focus on the UK residents, their service is available in other countries, too. Aside from trading coins, you can also store them in Coinfloor’s vaults that offer offline storage. 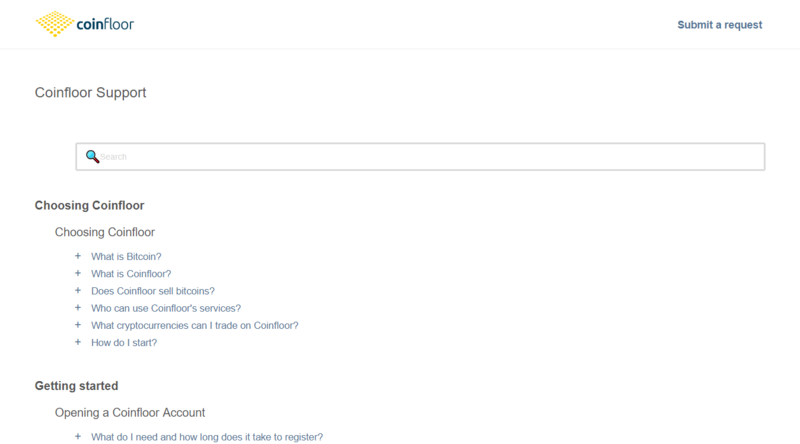 You are required to sign up for an account to be eligible for using Coinfloor. The first step of registration is to confirm your email address. Two-factor authentication is mandatory on this platform, which is why you will need to enter your phone number or use YubiKey. The system will require your personal details so that it can automatically pre-approve your account. You can shorten this process by entering an invitation code you got from an existing member. The final step is to provide a document that confirms your ID, such as a passport. Once the administrators of Coinfloor verify your account, you can start trading. You have the option of placing a market order that will be executed instantly or selecting a limit order. The latter one is an advanced option. As soon as you specify the details and confirm the order, it will be placed in the books and finalized once there is a bid that matches your requirements. Much like other exchange platforms, the more people you bring to it, the more referral rewards you will receive. What are the features that make Coinfloor unique? Why would you decide to use this platform among so many others that are available? These are the questions we try to answer in the section below, where we focus on things such as accepted countries, payment methods, and currencies, as well as security and reliability features. Coinfloor is based in the United Kingdom, and it is only natural that UK residents are their primary focus. However, the exchange also accepts registrations from other countries. In 2014, they started expanding to the rest of Europe and opened their services to the Netherlands, France, and other EU members. Today, Coinfloor accepts registrations from a huge selection of countries. However, all registrants need to go through a rigorous verification process that includes verifying their ID. The website complies with UK laws, including Anti-Money Laundering and Know Your Customers. They also publish a monthly report that proves their solvency. That is what gives them legitimacy and guarantees that your personal information and funds are safe on the platform. You can deposit both crypto and fiat currencies to Coinfloor. When it comes to cryptocurrencies, available options are bitcoin and Bitcoin Cash. 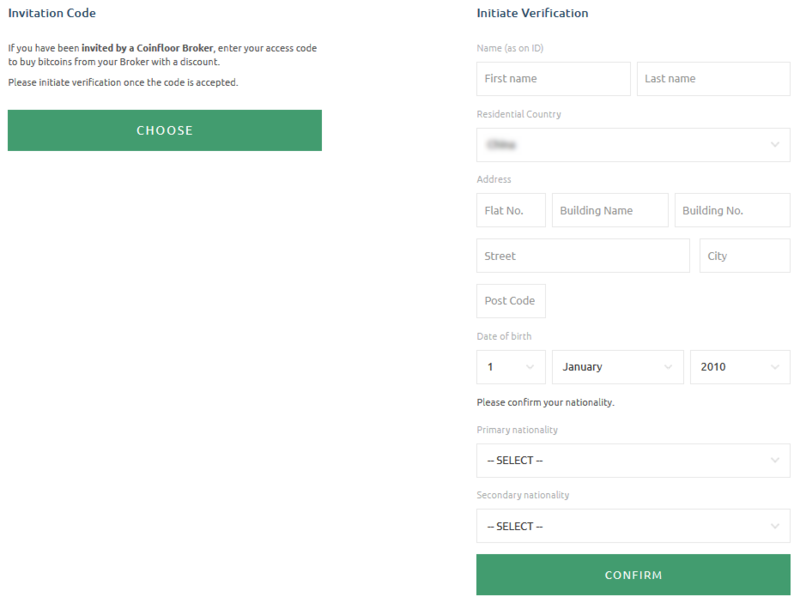 Once you complete the verification process, head to the “Deposit” page and get your unique Coinfloor deposit address. Copy this into your wallet with funds in it and send them to the platform. Keep in mind that 0.05 BTC is the required minimum. As for fiat options, the website accepts GBP, EUR, USD, and PLN. 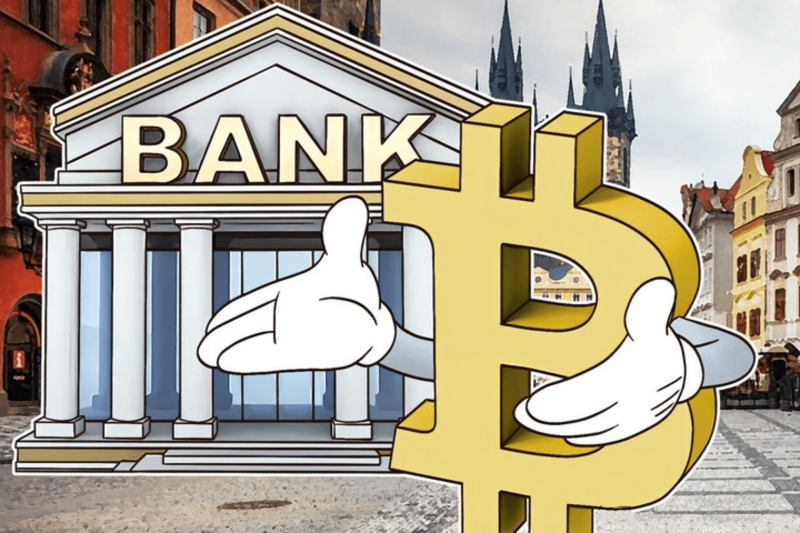 They signed a partnership with the largest bank in Poland, and you will transfer your money to the Coinfloor account registered with that institution. Depending on the currency you use, you can choose SEPA transfer (EUR) or international wire transfer (GBP, PLN, USD). API is an abbreviation for application programming interface that makes communication between two pieces of software quicker and more comfortable. In the case of digital exchanges, it can speed up the process of trading and can come in handy in situations where every second means a lot. Coinfloor trader is one of the tools available on the website. It features a minimalistic interface that is not crowded with unnecessary data. That is what experienced traders are looking for because they are trading at a huge pace. The beauty of the tool is that it works on Linux, Mac OS, and Windows. Please acknowledge that you need to have at least Java 6 installed on your PC to run the software. The other alternative is a Financial Trader API called XChange. It is a library that allows you to interact with several exchanges and secures easy access to market data. 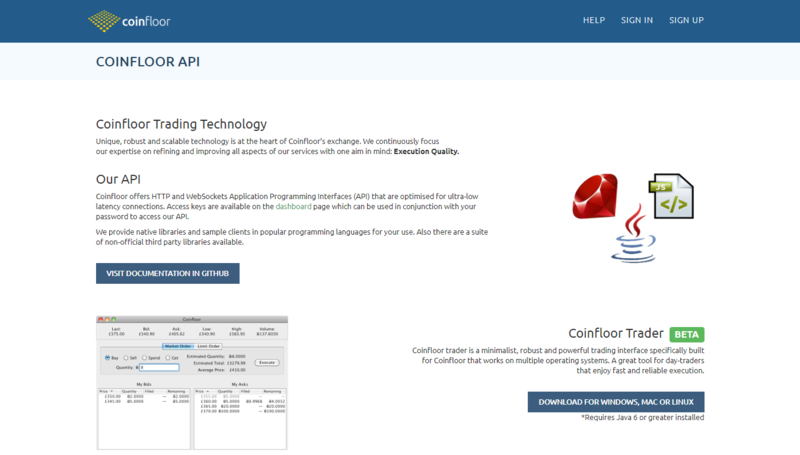 If you know a thing or two about programming, everything you need about Coinfloor APIs is located on GitHub. That is where you can find information on how to get started and all relevant documentation. Coinfloor will enable you access to its exchange once you have verified your account. It is at that time when you will be required to make a deposit. If you have available balance shown in your profile, you can head to the “Exchange” page. Take some time to get used to how the interface looks. 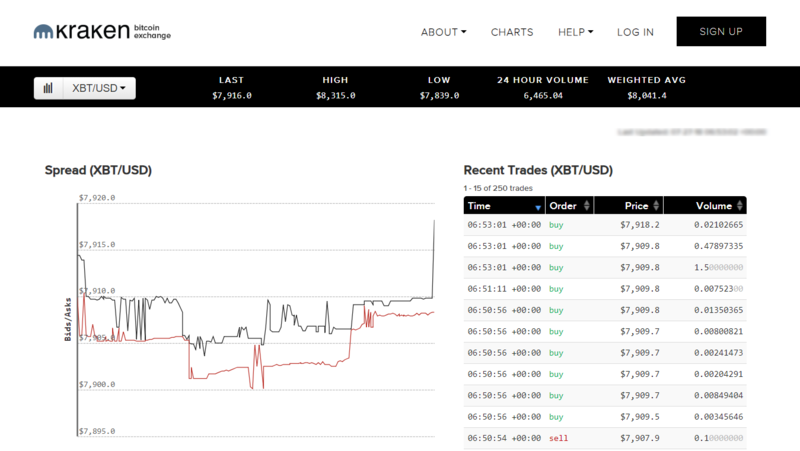 You have a graph showing market depth and the list of current orders posted by other users. Choose the desired market from the drop-down menu in the upper-left corner. For example, we will use the XBT/GBP market. You have two options at your disposal – “Market Order” and “Limit Order.” The first option involves an instant transaction. You just need to enter the amount of XBT you want to buy or sell (make sure to specify this correctly), and the system will find the best offer for you at that moment. On the other hand, “Limit Order” lets you set the maximum price you are ready to pay to purchase XBT. These transactions might take some time, as they are only processed once there is an offer that matches their value. However, keep in mind that you can only make a deposit in XBT (BTC) and BCH. Coinfloor also does not support Bitcoin Gold. When it comes to supporting SegWit2x, you can read more about it in coinfloor blog. 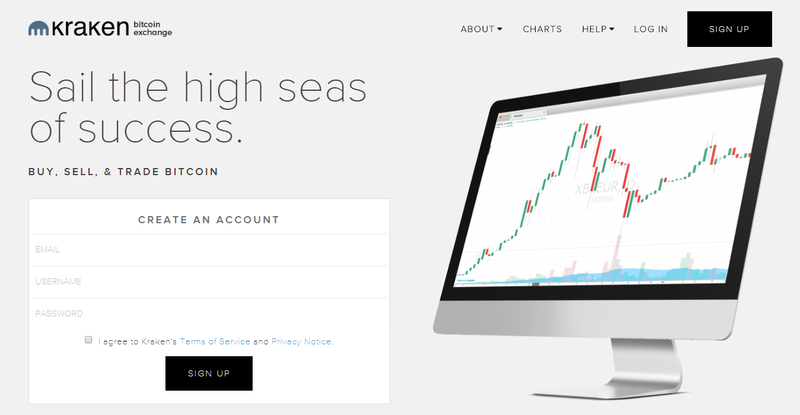 The website also does not allow trading between two crypto or fiat currencies. You can only place an order to swap a cryptocurrency with fiat and vice versa. The administrators claim that they are listening to customer feedback and the demand of the market when it comes to adding new coins. That is how they decide whether they will add more currencies, which means that there is a small chance that could happen in the future. Coinfloor is considered safe and secure for both your personal information and data. The fact that they have been in the business for five years now, and they have not had a single issue with hackers, is enough to support that claim. The administrators of the exchange are taking security as a serious issue and it is their top priority. Unlike other exchanges, Coinfloor keeps your crypto funds offline in underground vaults that have the same level of protection as banks. There is no storage of any kind of servers, which means that the risk of someone stealing your funds is non-existent. As for fiat funds, the platform has a contract signed with several banks throughout the European continent. The business is entirely transparent, and the institutions are aware of what Coinfloor’s niche is. Reviews posted online by existing users also speak in favor of the website as a huge majority of them believes the exchange is trustworthy. What makes a digital exchange reliable? The first thing that comes to our mind is liquidity and transparency. Coinfloor publishes a monthly report with solvency analysis to prove that they are capable of continuing the business. Ever since the foundation of the platform, the owners insisted on it being transparent. They do not allow any shady individuals or groups to enter the market. Everyone is required to pass identity verification check, whereupon they are allowed to start trading on Coinfloor. The website also implements Two-Factor Authentication policy during the login process. It is not enough to enter your password, and you must also copy the code you received through the Authy App. That prevents anyone from hacking your account and taking away your funds. We cannot say that Coinfloor is friendly to its users when it comes to fees. However, you can make a charge-free deposit if you use bitcoin or Bitcoin Cash. Other currencies have flat deposit fees that stand at 1.5 EUR, 5 GBP, or 10 USD depending on the currency you use. Withdrawal fees are set at 1.5 EUR, 10 GBP, 1 PLN, and 15 USD. Please acknowledge that you also have to pay a small cost of 0.0005 XBT or BCH when you withdraw one of these currencies. When it comes to trading fees, they depend on your 30-day volume and vary from 0.3% up to 0.1%. Coinfloor has two types of accounts available for their users – private and corporate. The first kind is for individuals who want to enter crypto trading. It does not matter if you are a newbie who just wants to try the exchange, or you are an experienced trader in search of serious profit. Either way, you will have to confirm your identity through the verification process. This is much faster if you are a resident of the UK, as others might be forced to wait up to 10 business days to get their accounts verified. If you are looking to make large trades, it might be a good idea to open a corporate account with Coinfloor. That will give you some benefits, such as utilizing various API tools to your advantage. If you want to close your profile on the website, you will have to contact customer services. The official name of the company is Coinfloor Ltd., and it is registered in London, United Kingdom under the number 08493818. They are not a broker that was officially approved by FCA, but they still communicate with the authority to ensure that they comply with all applicable laws and regulations. Anti-money laundering and counter-terrorist financing policies are an integral part of how Coinfloor conducts its business. 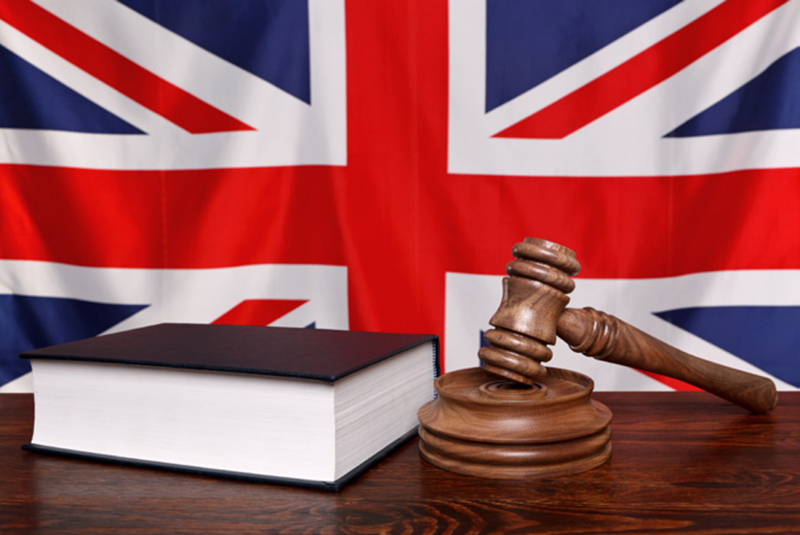 They signed the Data Protection Act of the UK, which obligates them to provide the highest possible storing level of sensitive personal information. They deal with the user info by using TLS protocol so that nobody can access the data without authorization. The staff that is working with Coinfloor went through a rigorous process when they were joining the company. The screening even included background checks to clear them of any potential connections to crime. The customer services of Coinfloor are conducted via Zendesk. Before contacting the support, it might be useful to take a look at the knowledge base. It is full of articles related to how the website works, and it tries to answer the questions that clients often ask. If you do not find what you need in the knowledge base, you can submit a request to the support staff. The form requires entering an email address they will use for answering, specifying the type of issue, and describing it. Try to be as detailed as possible to help them resolve the problem quickly. Although the Coinfloor customer services do a good job and are reasonably fast in replying to questions, we feel like the website is lacking live support for urgent problems. Sometimes you just can’t wait for hours or days for a reply as it may put you to risk of losing money. Why should you choose Coinfloor or what are the reasons to go down a different path? There are so many options for crypto trading these days, so it is difficult to select the right one. We compare other services with the one we review in this article to find out which is better. It would be a bit of an exaggeration to call CoinCorner a digital exchange. It is a simplified service that only allows you to swap BTC with fiat currencies (GBP and EUR are supported). While it is ideal for newbies that are looking for a quick way to purchase bitcoin, the biggest downside is high fees. There is an administration charge of 2.5% for deposits lower than 2000 EUR/GBP, as well as 1% fee on each trade. On the plus side, you can use NETELLER and credit card to make a deposit. Although Coinfloor is not cheap either, it is a more affordable option altogether. It also offers support for more fiat and cryptocurrencies, and they have extra features that qualify them as an exchange. The two exchanges have a lot of similarities. They both support crypto and fiat currencies and margin trading. The advantage of Kraken over Coinfloor is that they accept more coins. 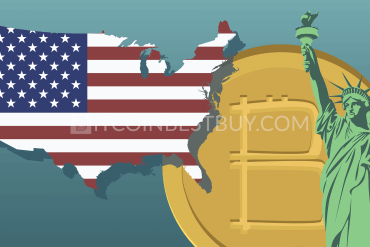 Over a dozen cryptocurrencies are on their tradable list, and bitcoins can even be traded with USD and EUR. While we are on the topic of fiat money, please consider that you can deposit Japanese yens, Euros, US and Canadian dollars, as well as GB pounds, which is enough to beat Coinfloor in this category, too. Withdrawal fees are similar, but trading charges differ considerably. Kraken only asks 0.16% of the makers and the amount decreases as the sum goes up. The takers are charged at most 0.26%. That makes Kraken more affordable than Coinfloor, especially when it comes to small transactions. You cannot trade on any of these platforms without confirming your identity. The process at GDAX requires a lot of hassle. For example, US citizens even have to provide their Social Security Number (SSN). 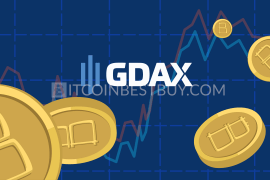 GDAX, owned by Coinbase, is also limited when it comes to supported currencies. They only include bitcoin, Bitcoin Cash, Ethereum, and Litecoin, but they also allow swapping them for USD and EUR. Recently, GDAX has been rebranded and now has the name Coinbase Pro. GDAX offers somewhat lower trading fees than Coinfloor for small transactions. They only charge the takers and the cost varies from 0.3% to 0.1%. One of the reasons why you might consider using GDAX is that it has negligent deposit minimums set at 0.01 BTC or ETH. Their security level is high, but the customer support has room for improving. CEX.IO has been dealing with a lot of problems lately, and most of them are because of terrible client agents. They had a surge of new customers, and they seem unable to deal with it. The withdrawals take a lot of time and some users even complained of being scammed. Add to that the fact that they do not have a flawless history since they were hacked in 2013 and you get enough reasons why you should prefer Coinfloor over CEX.IO. If you do want to give it a chance, please acknowledge that the platform has deposit fees, ranging from zero to 5%, depending on the payment method chosen. You can also use EUR, RUB, and GBP on the website. They support nine crypto coins, as well as margin trading. Makers and takers can both expect fees for a transaction. LocalBitcoins is an interesting system that allows you to remain anonymous. It is not an exchange, but a peer-to-peer website that lets you search for available sellers based on your requirements. Although everything you have to provide is an e-mail address, if you verify your identity, you will see more ads at better rates. As soon as you find the desired seller, contact him and arrange the details of the trade (it can even be face-to-face, but it is not recommended). The biggest downside of the system is the possibility of scams. That is why there is a rating system in place, and you should pay close attention to it. LocalBitcoins supports virtually all fiat currencies to buy BTC. It is a simplified system that you may like, but please acknowledge that Coinfloor is more reliable and secure. It also offers a bunch of features that LocalBitcoins does not have. Due to the security policies of the website, you need to register for an account and verify your identity first. If you successfully passed the verification, you can head to the Coinfloor exchange. 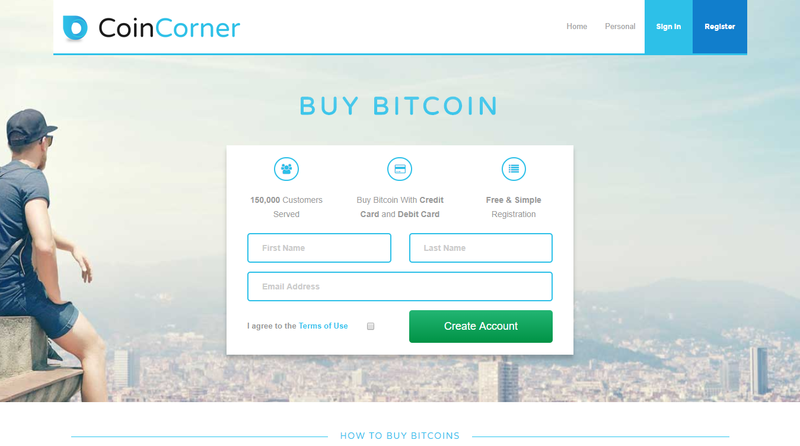 The platform allows you to buy BTC with GBP, EUR, and USD. That means you will need to have one of these currencies in your balance. Take a look at the next section for instructions on depositing funds. Choose the desired market and notice the fields for placing orders. If you want an instant transaction, use the Market Order. The system will immediately execute the trade and transfer bitcoins to your balance. If your goal is to minimize the costs, we suggest using the advanced Limit Order. It will allow you to choose the desired rate at which you want the transaction to be finalized. Once there is a bid that matches your demands, the trade will be automatically completed and you will get your BTC. This depends on which type of funding you want to add. It is quickest to transfer some BTC or BCH to your account. To do this, you just need to find your Coinfloor deposit address and copy it to the wallet from which you want to send funds. Please acknowledge that the minimum deposit amount is 0.05 BTC. You can also deposit fiat currencies to your Coinfloor account, including GBP, PLN, USD, and EUR. International wire transfer is required for the first three options, while the last alternative can also be added via SEPA transaction. Keep in mind that it may take up to 5 days for the funds to show in your profile. The minimum deposit amount for fiat money is 2,500 USD, EUR, GBP, or PLN. That is why Coinfloor might not be suitable for small traders. The fees are flat, and they vary depending on the currency. 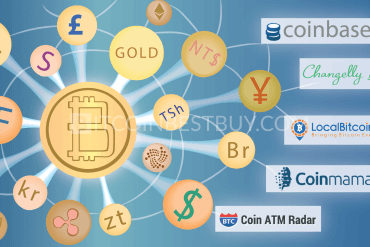 If you have enough BTC and you do not want to store them on Coinfloor anymore, there are various methods available for withdrawal. We will cover some of the most used ones in the next section. Check it out to discover how to move BTC to Poloniex, Coinbase, Bittrex, Binance, TREZOR, or a UK-based bank. 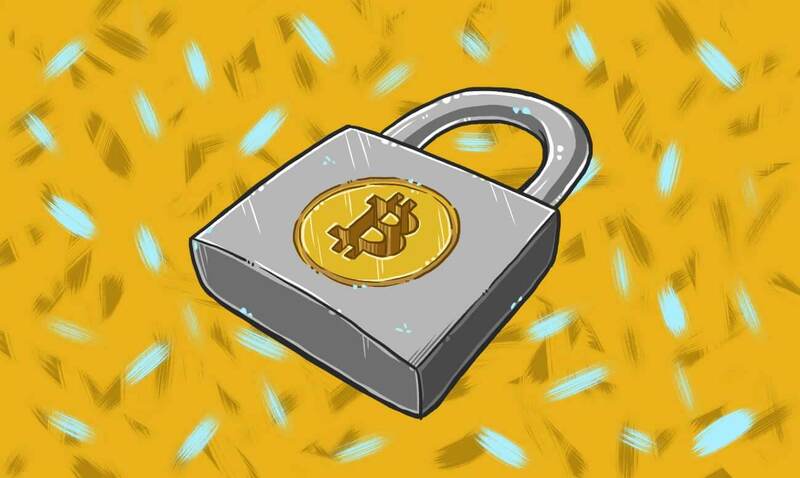 You need to be very careful with this method, because Coinfloor does not allow you to withdraw BTC to a third-party bank account or crypto wallet. That is why you are required to get the funds out of the website and into a wallet that is owned by you. You can transfer funds to other platforms as long as the data about the owner of the account matches. That is in line with the terms and conditions of the Coinfloor, and there is no reason for that to change in the future. Please keep in mind that trying to trick the website might result in having issues with your account and even getting it suspended, which may result in losing the investment. Your goal is to withdraw BTC from Coinfloor to a wallet that will allow crypto transfers to other people. From there, it will be a piece of cake to enter the recipient address and send the funds to another person. You need to have at least 0.005 BTC in your Coinfloor wallet to perform this transfer. That is the minimum amount for withdrawing from the platform. Another thing to keep in mind is that there is a flat fee of 0.0005 BTC for each withdrawal you make. If you comply with all those terms, you can continue with the process. The first step in this mini tutorial is to login to your Poloniex account. If you do not have one, you will need to register and pass identity verification, which may take a couple of days. If your account is approved, find the “Deposits and Withdrawals” page and scroll down to BTC. Notice the “Deposit” button on the right and click it to discover the address of your wallet. You will recognize it, as it will be a string of randomly generated characters. Copy this address into the withdrawal form under the tab of same name on Coinfloor and confirm the transaction to send funds. It might take about an hour or so for the transfer to finalize, and that is when you will see the BTC in your Poloniex account. If you find it too difficult to find your way around Coinfloor, you might want to move to an exchange with a simple interface, such as Coinbase. Before you can start trading there, you will need to move your BTC funds. The standard withdrawal fees apply, which means you will pay 0.0005 BTC cost for the transaction. Any registered user at Coinbase can head to their profile page and easily find the deposit address for their wallet within the exchange. Alternatively, you can even use apps for Android or iOS to reveal this code. Start a withdrawal process on Coinfloor. When prompted for the address of the destination wallet, copy the address you got on Coinbase. Make sure to double-check that you entered the data correctly before you finalize the transaction. We are sure that you do not want to end up sending your BTC to someone else by mistake! If everything is okay, click confirm and be patient until the funds appear in your Coinbase account. We have some bad news. You cannot withdraw BTC directly to a UK bank (or any other bank). The way around it is to swap your bitcoins for GBP and then perform the withdrawal. You can do this quickly in the Coinfloor exchange. 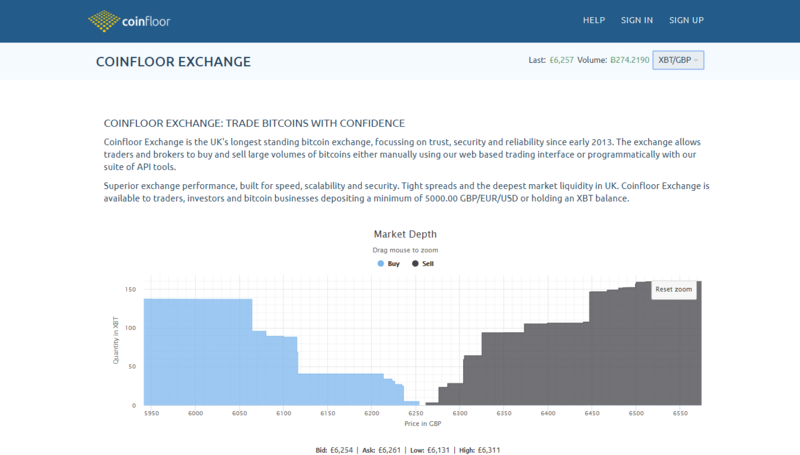 Simply select the XBT/GBP market and sell your cryptocurrency. If you are not in a hurry, we suggest utilizing the Limit Order option as it may secure better trade rates. Once the swap is completed, you will have GBP in your balance. Now, start the withdrawal process and enter your bank account and other details carefully. Once everything was entered correctly, confirm the withdrawal. Allow at least one business day (and maybe even up to five) for the process to finalize since it is an international bank transfer. The withdrawal fee is set at 10 GBP regardless of the size of the transaction. 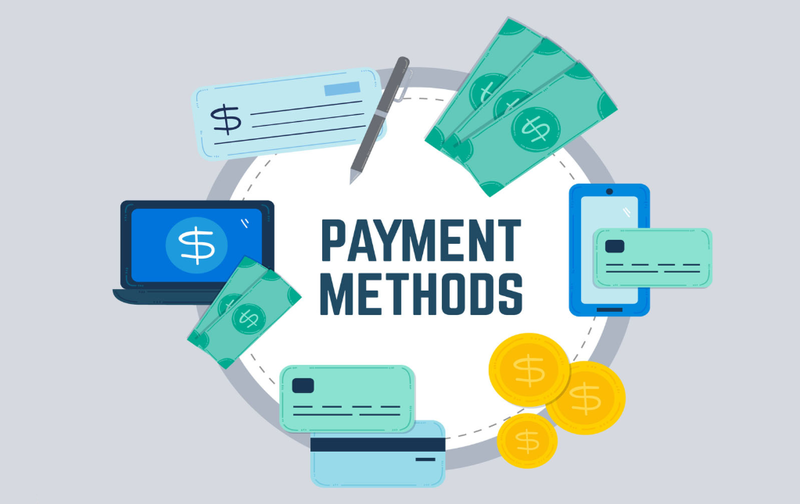 Keep in mind that higher amounts might flag the personnel of the website or the bank that might have additional questions before confirming the process. Also, keep in mind that you will need to take out at least 15 GBP. Bittrex has more affordable trading fees for small amounts when compared to Coinfloor, and that might be the reason why you want to move your funds there. However, keep in mind that the process of registering on Bittrex might take a while, because they need to confirm your identity. 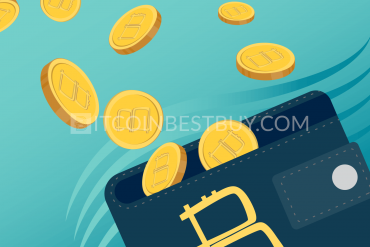 If you have an option to deposit funds to the website, navigate to the “Wallets” section and find the BTC wallet. Notice the green down arrow and click on it. 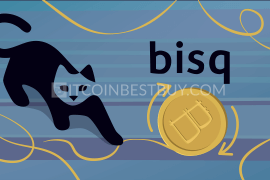 It will open a pop-up window where you can generate a new address for depositing bitcoins. This will be done in a couple of seconds and a string of numbers and characters will appear on the screen. Copy them to Coinfloor when asked during the withdrawal process. The only thing remaining now is to allow the exchanges at least 30-60 minutes to process the transfer. You can start trading on Bittrex as soon as the funds appear in your balance. Binance has one of the smartest interfaces that are intended for crypto veterans. You should think about moving there only if you think that you have become an advanced trader. 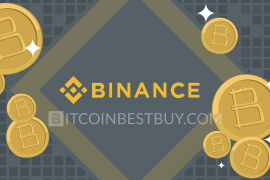 Binance registration system is effortless, which is a welcome change compared to Coinfloor and other platforms. Just providing your email address will allow you to trade. Once you complete the registration, login and notice the “Funds” button in the top menu. 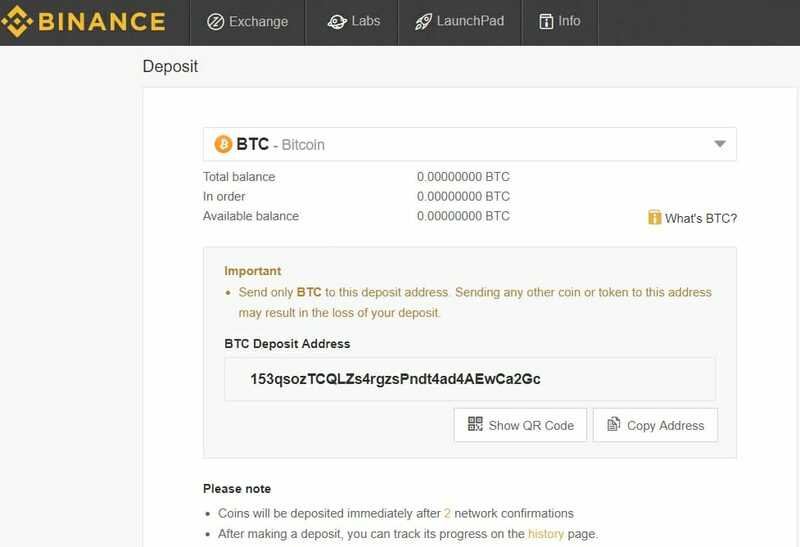 Choose “Deposits” from the drop-down selection and select BTC to see the address of your Binance wallet. Head back to Coinfloor and go to “My Account”, and then select “Withdraw.” You will see a field where you need to enter the destination address, which you will copy from Binance. The next step is to place the request and wait for Coinfloor to process it. You can expect for the transaction to finalize during the business hours on working days. 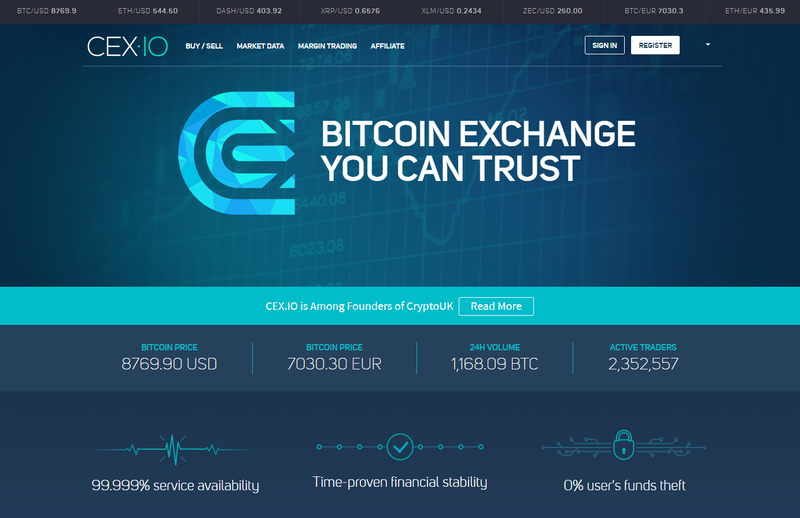 The withdrawal fees of the website apply, which means that you will pay 0.0005 BTC for transferring the funds. TREZOR is a hardware wallet for cryptocurrencies. 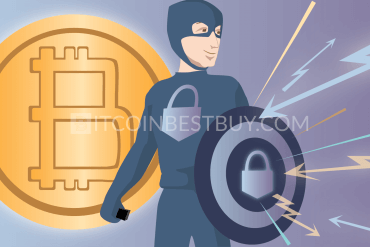 It is known as one of the most secure devices for storing your bitcoins and it is an excellent choice for keeping them in a safe place offline. Unlike Coinfloor that requires going through the registration process, it requires you to setup the device. It should not be a problem as long as you follow the clear instructions in the manual. Once your TREZOR is ready for use, you are supposed to go to the “Account” page to get the address of the wallet. You will notice the tab called “Receive” – click it to generate a BTC address. 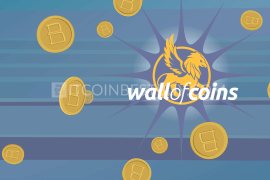 Now, open the Coinfloor website and choose how many bitcoins you want to withdraw. Copy your TREZOR wallet address into the recipient field and wait for the magic to happen. You can check out the “Transactions” page of your hardware to see whether the withdrawal was finalized. You will notice a transaction with a green light next to it. That means everything went okay and your funds are now stored on the TREZOR device. The official Coinfloor knowledge base has approximately 70 articles covering different topics. However, that is nowhere near enough to answer the questions you might have about the platform. We tried to reply to some of the most frequent ones. Yes, Coinfloor is safe for both the users and their funds. There are multiple reasons why we can claim that. For starters, during their long history, they never had a single problem of being vulnerable to hacker attacks. Security of the currencies the user store on the platform is their top priority. That is why everything you store in Coinfloor wallets is kept in underground vaults with the highest safety levels. The platform also requires each registered user to pass through a rigorous ID verification before being able to trade in the exchange. They also signed a Data Protection Act to oblige that they will treat sensitive personal info with utmost care. Finally, they regularly publish a report that is considered to be a proof of solvency. 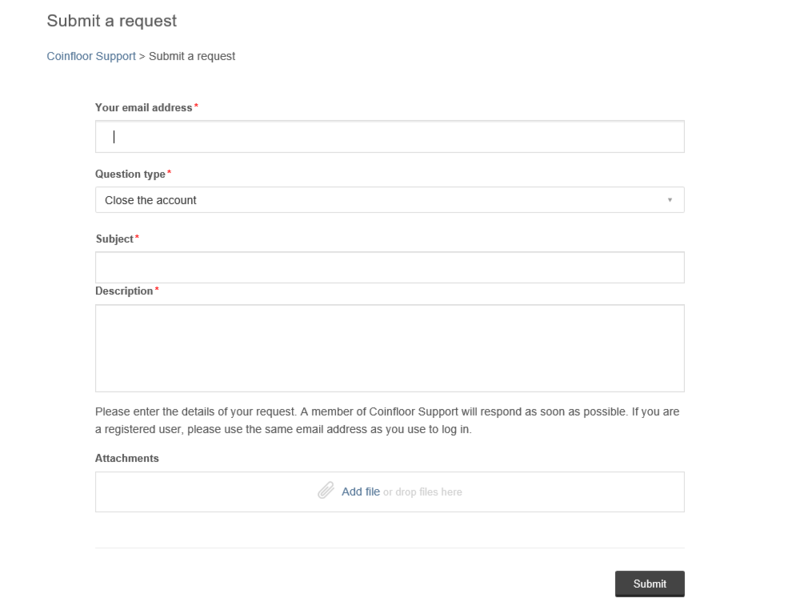 The only way to contact Coinfloor staff is by submitting a request to their support center. The form itself is very simple and enables you to describe the problem, as well as upload photos and files to additionally explain the issue. Make sure to use the same e-mail address you used for registering at Coinfloor platform. You will receive the answer to that e-mail. Unfortunately, the support staff is not too responsive. That means there is a good chance you will have to wait up to 24 hours for your answer, and sometimes even longer. That is a shame because some issues are time sensitive and need to be resolved as soon as possible. We hope to see Coinfloor investing in hiring more agents to solve all requests swiftly. Some users are complaining about withdrawal times on Coinfloor with a reason. The exchange has very strict rules whether you are withdrawing crypto or fiat currencies. The withdrawals are processed only once a day during business hours (GMT time zone). If you are transferring fiat money to your bank account, please acknowledge that the process might take up to a week. The good news is that withdrawals in EUR tend to be processed a bit quicker than that (up to 48 hours). Coinfloor also has a rule for digital currencies. They do not process them during public holidays in the United Kingdom or on weekends. We believe that they need to find a way to decrease withdrawal times, or they risk losing the trust of the community. 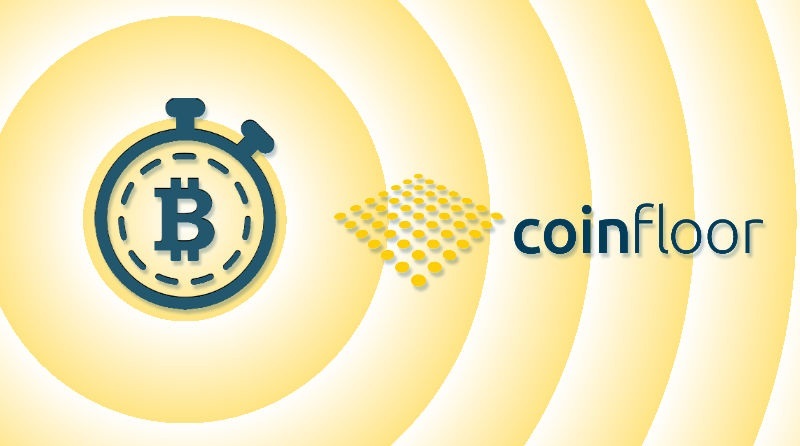 Except for long withdrawal times, you probably will not have any issues when it comes to transferring funds from Coinfloor. However, the staff of the website is monitoring every transaction. If you are trying to withdraw a sum that is unusually large at once, the process may be temporarily delayed. The support agents will have to manually approve the withdrawal, and you will be obliged to answer any questions they might have. Although you might consider this unfair, it is because of the Anti-Money Laundering policy and other regulations and laws Coinfloor has to comply with. This is one of the things that make this platform incredibly safe. If you have any other withdrawal issues, feel free to contact the customer support. No, there is no mobile app for Coinfloor. We tested their website, and it is fairly mobile-responsive. It can be accessed from your phones and tablets, and the interface looks the same as the PC version. However, there is no doubt that everything would run more smoothly with an app. The loading times would be shorter, and it would be easier to read the market data, as well to place an order. There are no indications that a Coinfloor app will be available in the future. At this moment, you can only use your mobile phone as a part of 2FA during the login process. You provide your telephone number during registration and use the Authy app to generate access codes each time you log in. No, Coinfloor does not support PayPal. You cannot deposit or withdraw money to that platform, and you will not be able to do that anytime soon. 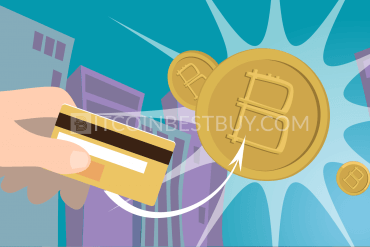 In fact, very few digital exchanges support PayPal, meaning that you can use either alternative channels or these few platforms when buying BTC with PayPal. One of those is using a direct trade service such as Paxful or LocalBitcoins. The other option is the xCoins platform, which enables you to sell bitcoins and get the payment to your PayPal account. The process is straightforward and even beginners should find their way around without any effort. However, this transaction does not come cheap as the xCoins trading fee is set at a harsh 15%. Check your e-mail inbox for a link for passcode resetting. Choose the new secret phrase that will have at least eight characters and enter it twice. If the 2FA authentication is active, you will need to use your mobile phone and enter the code generated by the Authy app. You will get a message that the passcode was successfully changed. During the next login, you will be able to use your new password. Yes, you can remove all your funds from Coinfloor. Use the withdrawal option from your profile menu and follow the instructions. You will need a bit of patience as processing your request might take up to five business days (depending on the currency and the method you selected). If you cash out from the platform entirely, you might also consider closing your account. If this is your wish, you need to submit a request to customer support. Select “Close the account” from the available question types. In the description field, you can enter the reason why you are leaving, but you are not obliged to do that. The customer support is not that effective, but your account should be deactivated in a day or two. Passing the identity verification process at Coinfloor can be a hassle, especially if you do not get approved the first time. 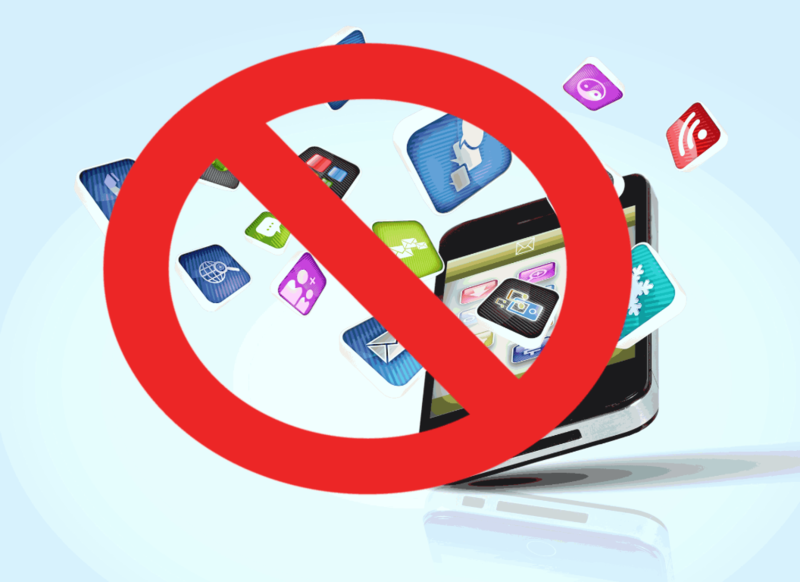 In those cases, you may get an “application unsuccessful” message. Unfortunately, Coinfloor does not follow up with detailed information on why they have not verified your account. The only thing that you can do is to contact customer services. 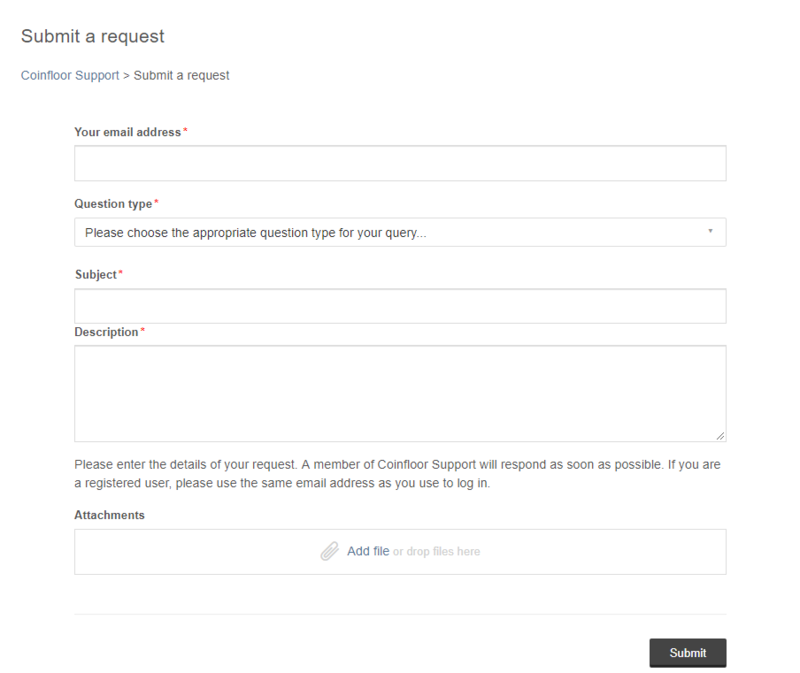 Submit a request through Zendesk and ask them to look into your issue. Attach documents that prove your identity and send only those that comply with Coinfloor requirements. Double-check everything to ensure you have not missed anything. If everything is alright, the support staff will look into your issue in a couple of days and reactivate your account. 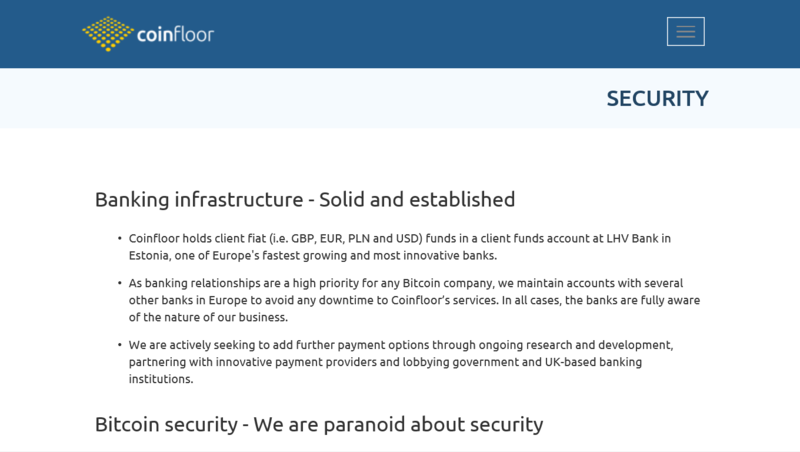 Coinfloor takes security seriously, and that is what we like to see in a crypto exchange. Holding digital assets in offline underground vaults is an excellent way of keeping them safe. Publishing proof of solvency each month contributes to liquidity and transparency. It is a pity that they could not find a formula to simplify the registration process, but keep the same level of security. Overall, Coinfloor is an extremely reliable digital exchange. It is focused on UK and SEPA residents and it comes with reasonable fees that could be a bit lower. 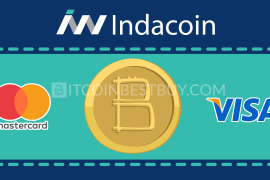 They accept both fiat and cryptocurrencies and offer several payment methods. It might not be the best exchange out there, but Coinfloor is certainly near the top. You are in the right place if you are looking for an expert review of websites that serve the crypto community. We conduct a thorough analysis of reputable platforms and their services. Take a look at a preview of the articles you can read. 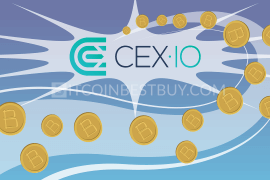 CEX.IO is a digital exchange with a rich history. Unfortunately, that history is filled with good and bad things alike. They recovered from a hack attack that occurred shortly after they were founded in 2013. Unfortunately, as a result, the verification process has become a huge hassle. Recent reports and user complaints indicate that CEX.IO staff does not seem to be able to handle the increase in a number of customers. Many people are having issues with withdrawals, especially those who live outside of SEPA region. The trading volume is still at a relatively high level, and the exchange does not seem to have trouble with liquidity. Coinbase is ideal for beginners and those who still have to learn about crypto trading. Their interface is user-friendly, but they only have a limited portion of swapping options. However, they accept fiat currencies, as well as credit cards. Coinbase has a high reputation in the community because the website was never hacked. They implement various security features, such as insurance policy and storing most of the funds offline. At this moment, they support 32 countries and serve over 20 million customers, which is an impressive number. Restrictions when it comes to daily trading limits are imposed depending on your account level. Aside from deposit and withdrawal fees for cryptocurrencies, Coinbase has a flat 1% fee for each trade. Kraken tries and succeeds in being a serious exchange and an excellent platform for everyone. 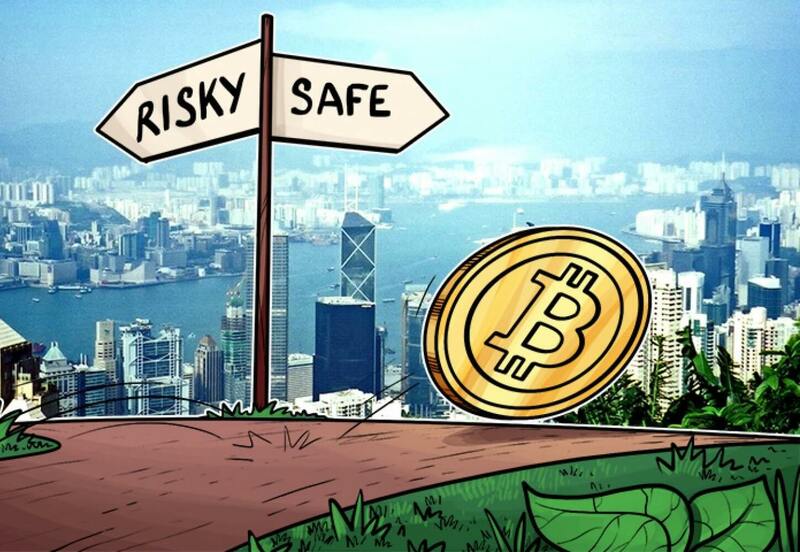 They are among the first crypto exchanges that successfully passed an independent audit. Their business is transparent, and they are proud of their liquidity and security. The registration process is fairly simple. 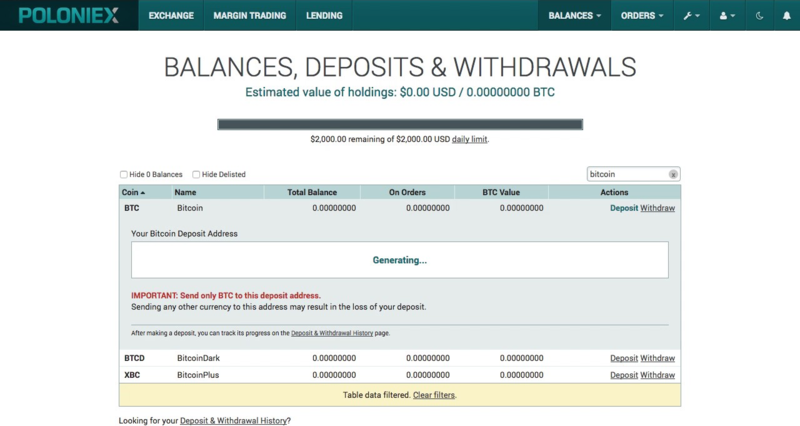 Margin trading is supported, while they implement the maker/taker schedule in the exchange. The fees for makers are low, and they cannot go over 0.16%, while takers’ charges are 0.26% max. Apart from a couple of exceptions, deposits carry no fees, while withdrawal costs are more than fair, especially for cryptocurrencies. Kraken recently released an iOS app that you can use on Apple devices. Therefore, we can also expect an Android version, too. That is encouraging, because a mobile-friendly website is not enough for serious trading. You should read our review regarding the platform, as we go over their pros and cons in greater detail. 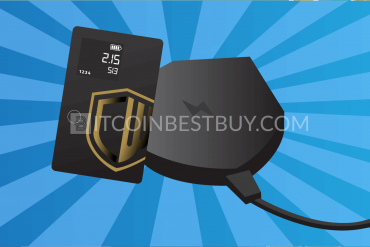 In case you need help with any part of this guide, feel free to reach us at BitcoinBestBuy as we will answer any inquiry you might have for us.